Gaijin.Net Store / Cash payments are available in Mexico! Cash payments are available in Mexico! We are glad to announce that cash payments are now available in our Online Store! 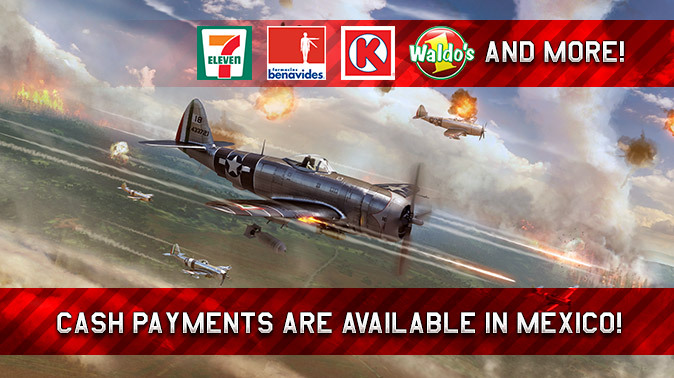 You can now pay for Golden Eagles and Packs in a wide range of convenience and drug stores! The payment will be credited within a few seconds after the payment is completed.